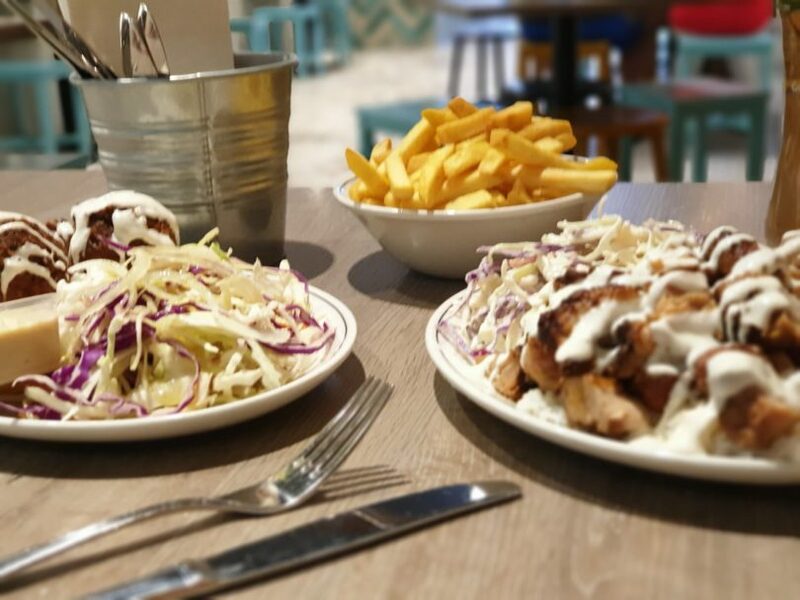 Eating out in Canberra has become super popular, and now that the icy cold is giving way to warm and sunny weather, we can expect to see more and more food-lovers congregate at their local eatery. Thanks to the growing foodie scene in this wonderful city, finding delicious options for your next meal has become easy, even for the pickiest of eaters. Those who may have certain food intolerances or follow a plant-based diet will well know the struggle of trying to find places with a large veggie-friendly menu. It seems while the vegetarian and vegan trends are growing in Canberra, we still find ourselves fighting to order something other than the basic salad with ‘no dressing please’. Mr Zee’s – Charcoal Chicken and Middle Eastern Grill: 122 Bunda Street, Canberra. For those who don’t eat meat, the term ‘grill’ seems to set into effect a shudder throughout the entire body. Mostly because grills are notorious for being meat-based eateries and therefore may have next to no options for us herbivores. However, this local Middle Eastern eating space that does street-food but not as you know it, actually has a very large vegetarian/vegan menu that includes anything from Lebanese-style kebabs, plates, and nachos. 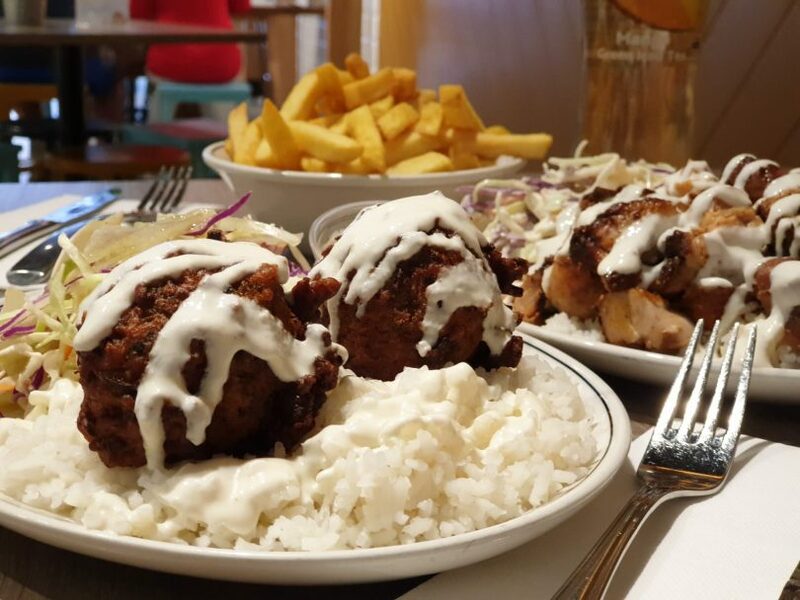 Using core Middle Eastern-inspired ingredients, Mr Zee’s offers anything and everything from soft falafel and zucchini balls, to tangy coleslaw and fattoush salads, and creamy hummus and tahini-based sauces. 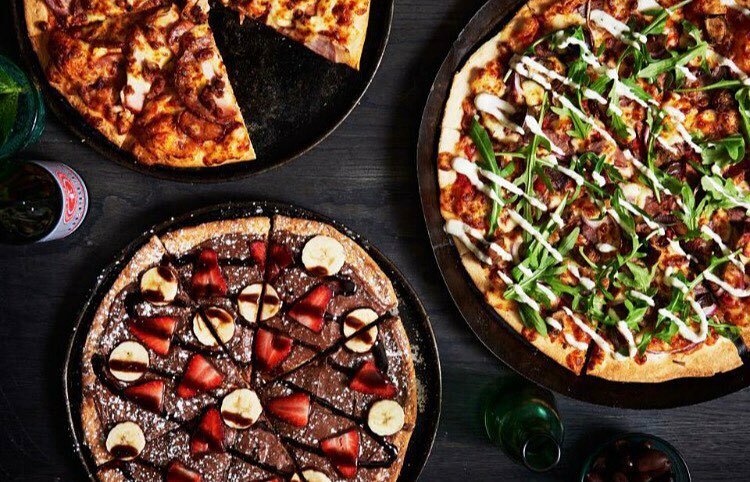 A wide selection of delicious vegan pizzas including one for dessert. Photo: Round Pizza. The struggle is real for those who do not or cannot consume dairy, especially when it comes to pizza. Thankfully, this Dickson-based pizzeria has us covered with a total of seven vegan pizzas to choose from. Included in that list is a chocolate covered pizza, topped with bananas and strawberries, just to help satisfy your sweet-tooth craving! Who doesn’t love donuts, and with a wide selection of dairy-free, vegan donuts available at Donut Department, you’ll love these balls of deliciousness even more! Get ready to ponder over plain cinnamon donuts, or perhaps one with a choc or rhubarb glaze? 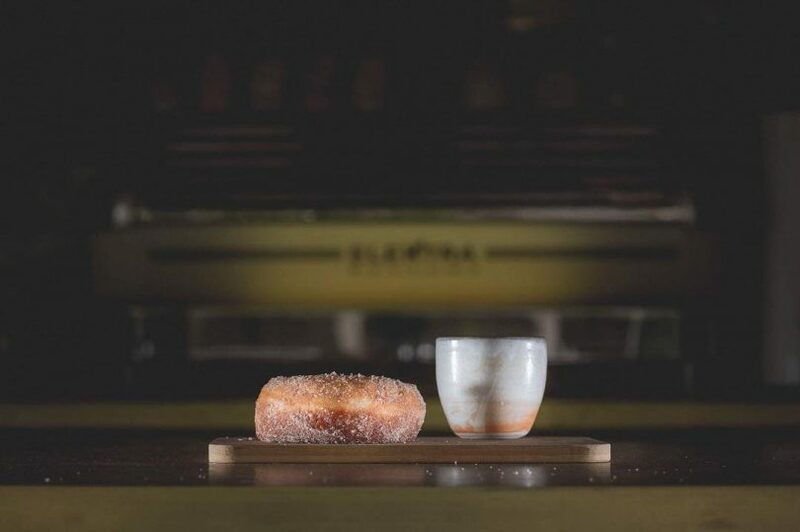 While famous for its donuts, this tiny little space just outside Civic also offers light meals ready for that brunch date, as well as some of the best coffee Canberra has to offer. Cibo Kitchen: 98 Corinna Street, Phillip. Cibo offers a variety of vegan bureks including pumpkin and potato. Photo: Cibo Kitchen. 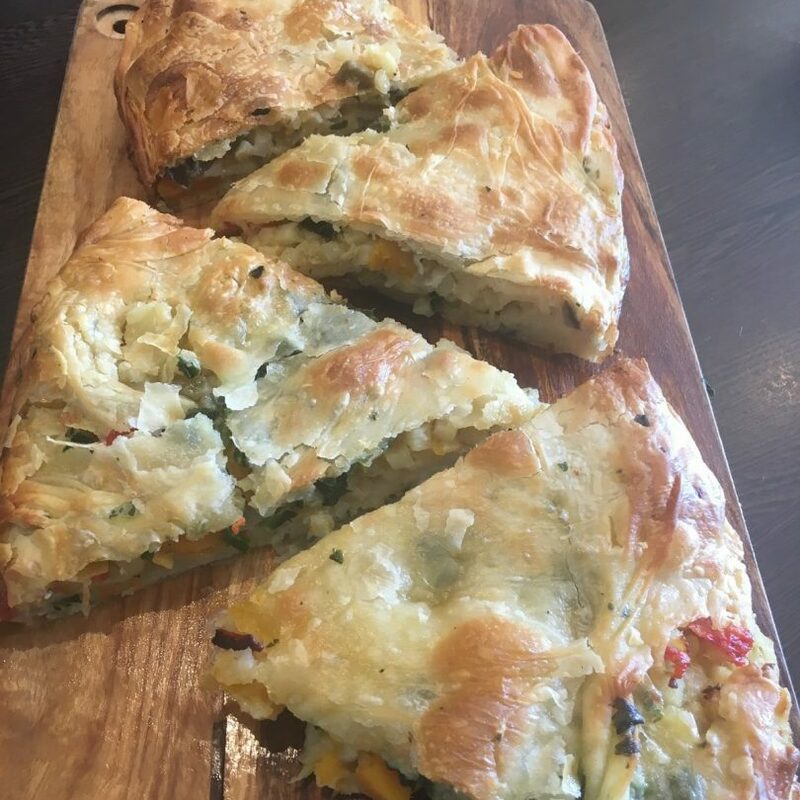 You may have stumbled across this little Canberran gem while walking through the Old Bus Depo Markets on a Sunday, offering southern-European street-style burek in a multitude of flavours! While the actual Kitchen and Café is located at the bottom of Sky Plaza Apartments in Woden, Cibo runs two market projects- Deda’s Smokehouse, offering small-goods across the Capital and surrounding regions, and The Burek Bakery, offering a sizeable variety of bureks including pumpkin, potato, and apple suitable for vegetarians and vegans.